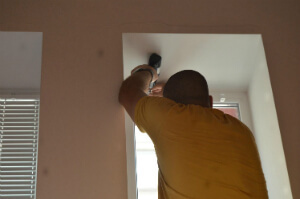 Handyman Hanging & Wall Mounting Putney SW15 | Quality Property Care Ltd.
Book the professional handyman services offered for both residential and domestic handyman tasks in Putney SW15 by Quality Property Care Ltd.! You can reserve a multi-skilled handyman for one or more carpentry, plumbing, painting and redecorating or electrical services as well as for a number of odd jobs which needs to be done around your office and house. The expert and insured services are provided at pretty attractive handyman prices and will certainly save you the time and effort of doing the task by yourself or looking for a person to do the job for you. Call our company or send an online form to the customer care service to make a request about the handyman tasks you need to be done, right now. Electrical isn’t easy work, and that is why we can offer you with a fully qualified and specified handyman electrician who can not only assist with small jobs, but also perform full household rewiring if needed. For homes we can replace switches and sockets, fit dimmer switches, fit new doorbells and replace extractor fans. For businesses we do the replacing of transformers, the changing of switches, replacing light bulbs and installation of dish washers. For rented properties we do restroom and kitchen extractor installations, fitting of appliances, the installation of lighting and the installation of chandeliers. The handyman can hang photographs and mirrors, fit curtains and blinds, put up shelves, mount TV’s and displays, change handles and locks, work on the fitting of doors and gates. We can also do flat-pack assembly, starting with furniture assembly, furniture repair, the installation of sliding doors, childproofing your home, lifting and moving furniture, the moving of significant items and quite a lot more. 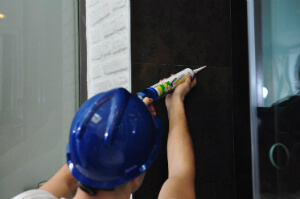 You can also rely on us for basic repairs, like boxing in, drought proofing, bath screen installation, fence and gate repair, easing jammed doors and home windows as well the replacement of worktops. Quality Property Care Ltd. technicians do house plumbing including fixing leaking taps and pipes, repairing toilet flush and cisterns, unblocking pipes, unblocking toilets, simple plumbing in kitchens and bathrooms, installing washing machines, replacing taps and washers, dealing with bleeding radiators. For your business we can repair leaks and water damage, unclog urinals and pipes, deal with toilet installation along with a special service account tailored for your needs. For rented properties we can replace sinks and basins, replace waste disposal units, re-seal shower and baths trays all of this with a secured satisfaction and full insurance coverage. We work with property owners, home keepers, office administrators, business owners, estate agents and anyone searching for a professional handyman services. Quality Property Care Ltd. technicians can work in offices, homes, cinemas, kitchen areas, public restrooms, dining places, dentist’s offices. Our jobs are usually broken down into three sections, jobs for offices, landlords and homes, agencies. Give us a call, specify your needs and we can draw up a plan, send it over for authorization and have our handyman come over and start work right away. He also does odd jobs, with our multi skilled team no odd job is too odd. To book the needed handyman service, contact 020 3746 4287 or fill out the online booking form right away, and you will acquire written confirmation with the time and date of your booking slot. If you have an emergency, there is a possibility of same day booking as well. The booking is hourly based, but for more elaborated tasks, or for a number of handyman tasks, you can book a half or full day package of handyman services. Go ahead, call now and get all those small problems in your home or office interior and exterior resolved!